Most of the Android devices except Nexus (LG and Motorola) phones come with a default file manager. But for Google Nexus users you don’t have anything pre-installed to manage files. File manager for Android will simple make your life easier with sharing, moving and deleting photos, music and videos, so you should have an app to manage your files in a handy manner. 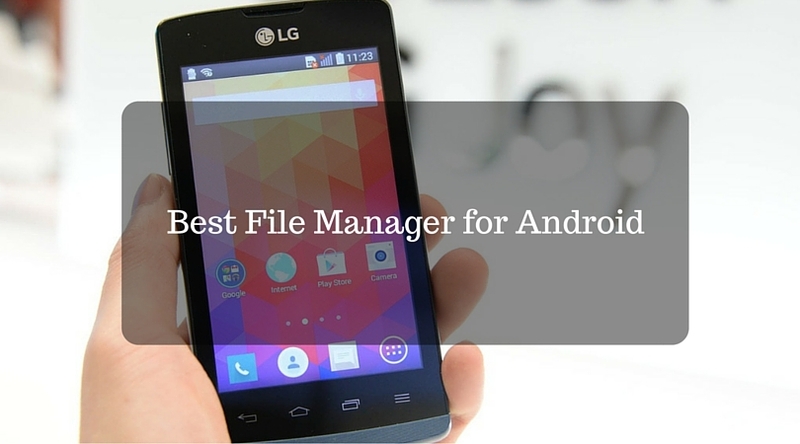 Below you will find five best file managers for Android that come in handy and all are available in Google Play Store. File Expert – the most friendly file manager for your Android devices! Fully-featured as File Expert, it allows you to manage your mobile phones, tablets, personal computers and cloud storage servers easily. File Commander is a complete file manager that allows you to handle any file on your Android device via a clean and intuitive interface. You can also separately handle libraries of pictures, music, videos, documents, as well as rename, delete, move, zip and send with just a few taps. File Manager HD can Cut, copy, paste, delete, compress, decompress, search and more. Switch between local and cloud files – supports Dropbox, Box, Google Drive, SkyDrive and more. Use your PC to wirelessly edit your mobile files using FTP. ASTRO File Manager finds and manages all of your files, no matter where they are located. Explore your Android device, SD card and cloud storage for that photo or song. With ASTRO’s CLOUD HOPPING (TM), you can move files between cloud storage with a single click. According to me the best from lot is File Manager HD as it has many features that are advanced in nature and you could extract the full potential of your device with it. Do leave a comment below and tell us which one do you prefer? Total Commander deserved a mention.